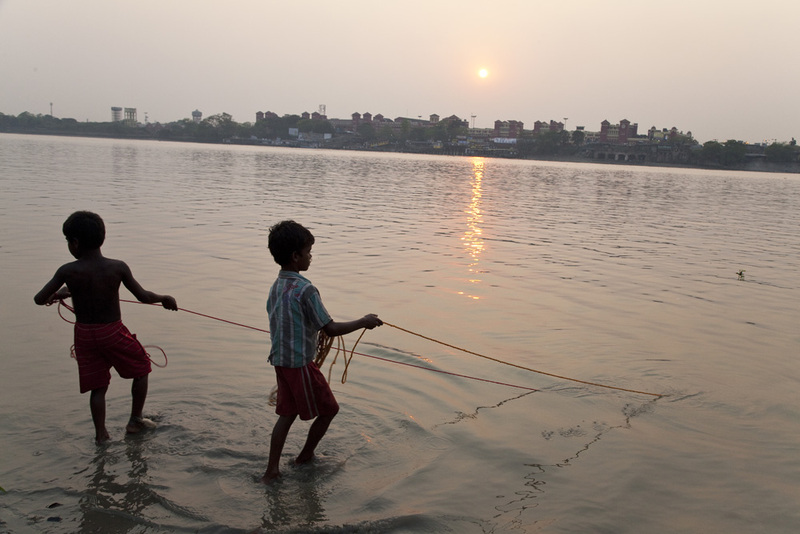 The last sunset over Calcutta, the last sunset on my voyage along the Ganges. Life along the river bank continues the same as it always has and much the same as I feel it always will do. 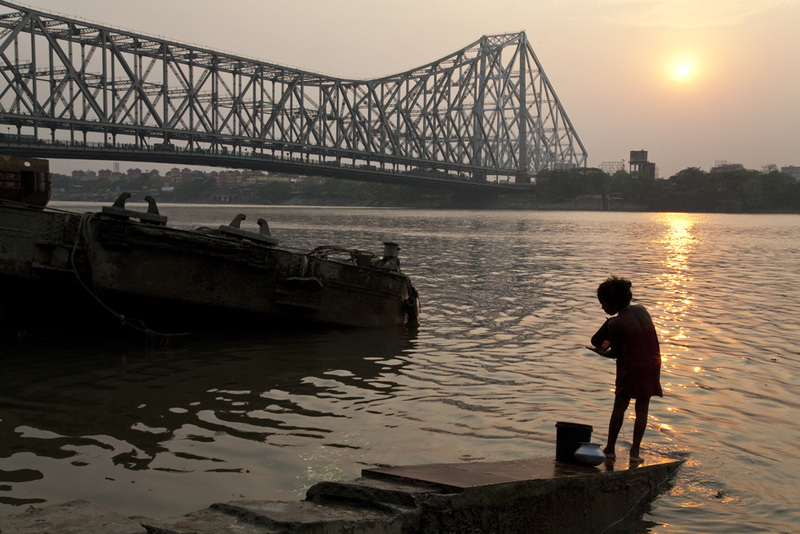 As I try to write this summary of the closing day in Calcutta I have to say that I’m actually finding it quite a task. I’ve been back from the trip for one month now and while I’m used to a degree of culture shock each time I return from India to the West I must admit that I’m feeling it acutely after this most recent voyage. I’m not sure if it’s due to the fact that following a river for two months has put me in this contemplative mood or whether it’s down to the fact that through the course of the trip it took me to some of the most holy places on the planet but it seems to be taking a while for me to ‘get back’. It’s definitely had a profound impact on me, this voyage was no jolly visiting forts in Rajasthan, I realise now it went deep. I’ll do a summary post shortly reflecting on the various stages of the voyage but for now I’ll look back at my last day in the great city of Calcutta. I was aware that I needed some images to act as the closing of the trip and a sunset seemed like the obvious choice. 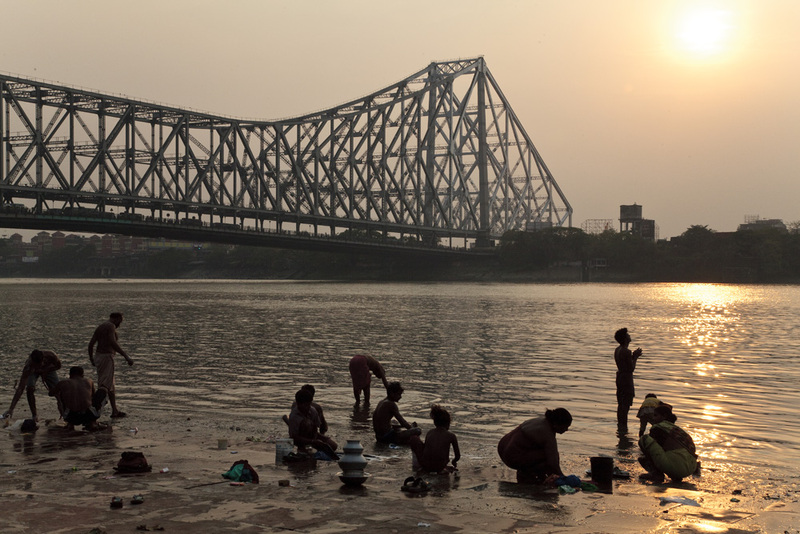 The Howrah bridge acted as a reminder of presence of modern life along this timeless river. The bridge itself is definitely impressive but seen from the banks straddling the great Ganges it somehow seems slightly insignificant. 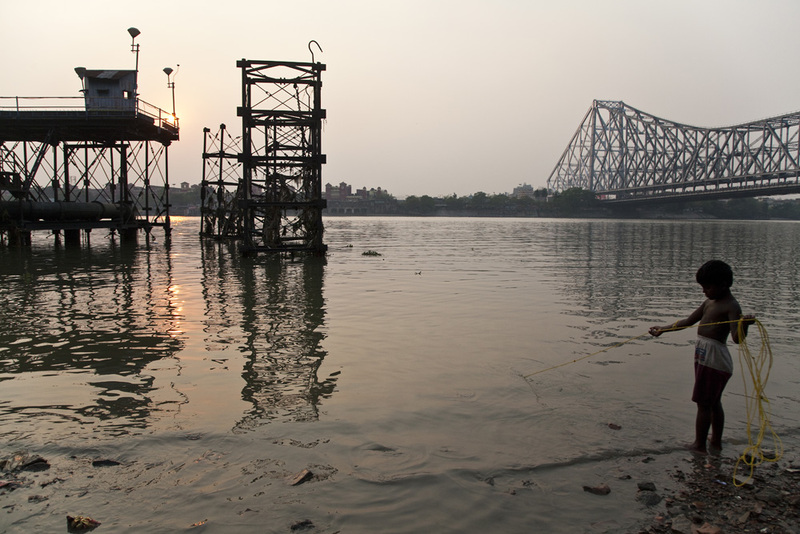 The nearby rotting hulls of barges and piers for me acted as a reminder that ultimately none of these man made constructions are permanent, the Ganges however will always keep on flowing. Another familiar activity which I’ve witnessed along the entire length of the Ganges is the sight of people dredging the river bed for Rupees. 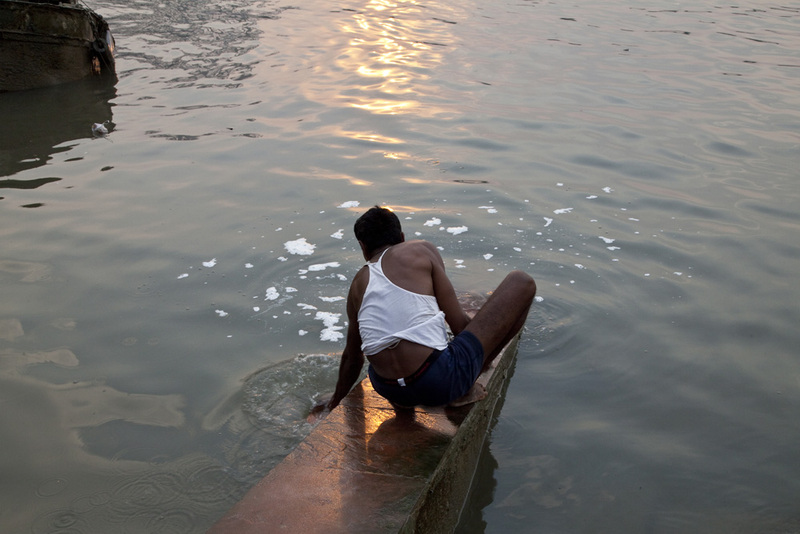 The magnetic Rupees are thrown into the Ganges as an act of devotion and these can easily be collected with the use of a car magnet tied to a length of rope. 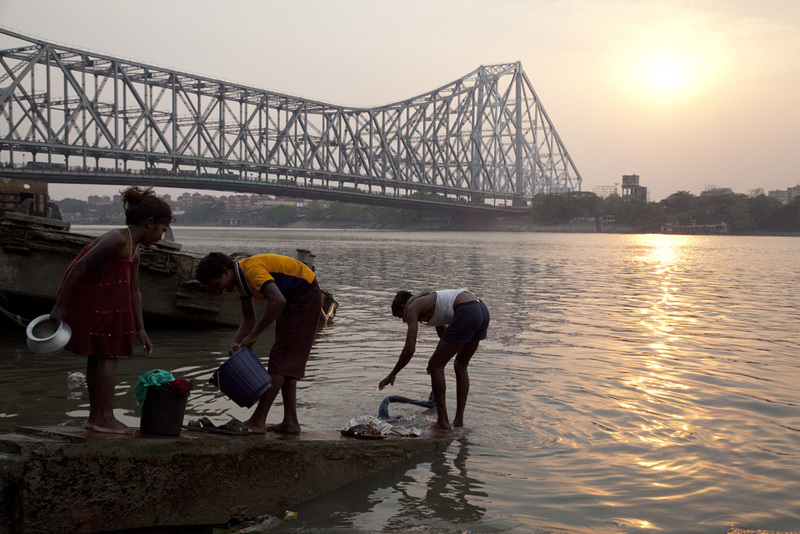 Personally this seems to perfectly fit in with the cyclical beliefs which centre around the river and in the grander scale of Indian philosophy – there are those who can afford to throw coins into the river as offerings and there are those who can’t afford to not take them out. One thing I love about India is the presence of worship in all parts of everyday life. When there I have the impression that there is both a church in the market and also a market within the church. While I’m not religious in any organised sense I do like the fact that there is no sense of pomp or austerity whatsoever within Indian worship. For example each auto rickshaw driver will slow down during a journey to say a quick prayer when he passes a temple, will have an offering tied to the front of his vehicle and will throw a coin into the Ganges as he drives over it, while the next moment he’ll be moaning about the beggars at traffic lights and haggling over the fare. Religion is just part of the ether in India and it’s impossible not to be aware of this. 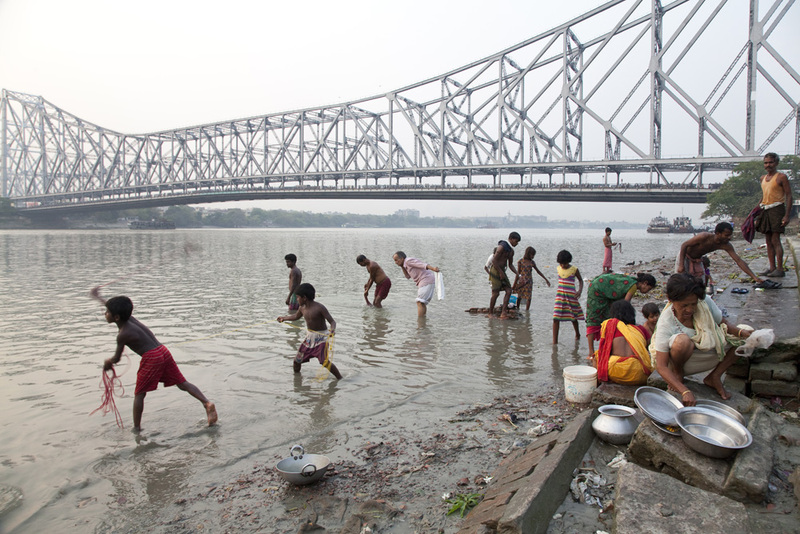 I’ve found that the Ganges itself is the perfect illustration of this. 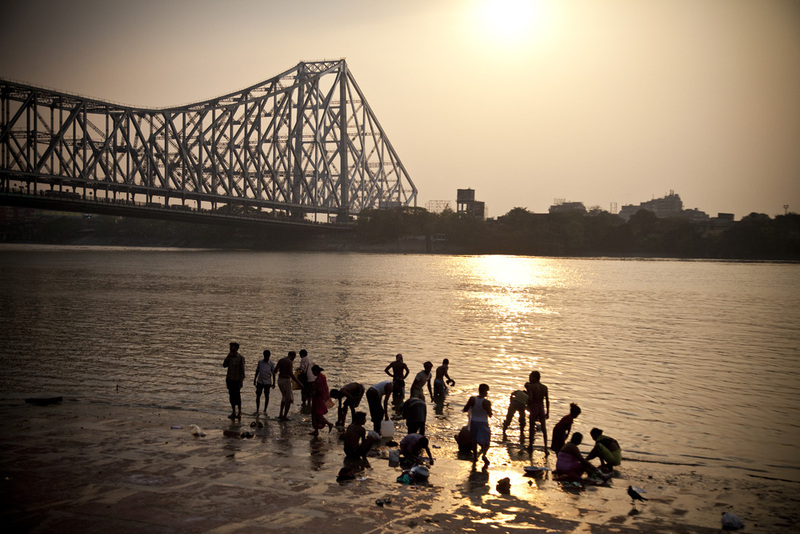 At places such as Haridwar and Varanasi the people visiting the banks are there specifically as an act of worship but in other places such as here in Calcutta you can find a crowd of people at the river all engaged in various different activities. Some are washing pots, themselves or livestock, some are dredging for Rupees and some are acting out worship. It all happens next to Ganga. The first image in this post I feel sums this up perfectly and for me has come to represent the closing image for the whole trip. 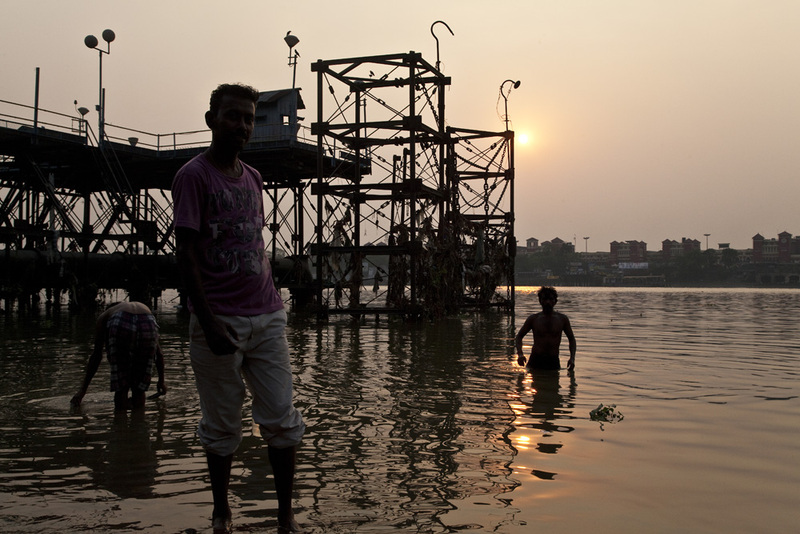 During my last few days in Calcutta I was always keeping an eye on the sunset time in order to capture the images I had planned, this was the scene that greeted me when I turned onto the bathing ghats just North of the Howrah bridge on my final day. 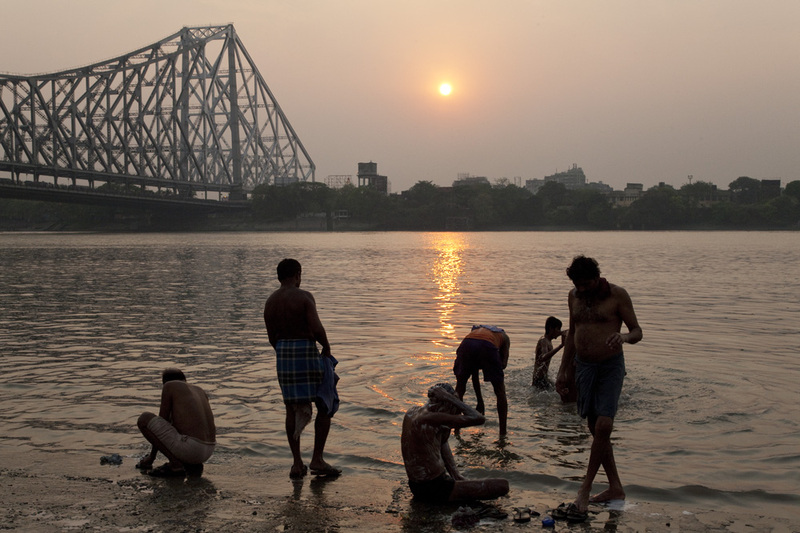 While the Ganges is obviously an incredibly important body for Indians both physically and spiritually it’s not a place where you need to speak in hushed tones. You can do as you please just as these kids were doing as they dived off a sunken jetty. The only thing which is definitely frowned upon are letting your shoes touch the water, this you’ll certainly be told. Smoking tobacco close to the water is not really tolerated either although the smoking of Cannabis is perfectly fine and in some places almost encouraged as it’s part of the culture. As the sun began to set I carried on capturing the scenes along the river which had become so familiar. The low rumble of traffic on the bridge to the sound of calling crows melted in with the lapping of the river. It has been an incredible voyage and one that has without question made a lasting impression. Since getting back I’ve become slightly bogged down dealing with the necessary day to day activities but I have a lot of plans for the images and the body of work so will post updates on these in due course. 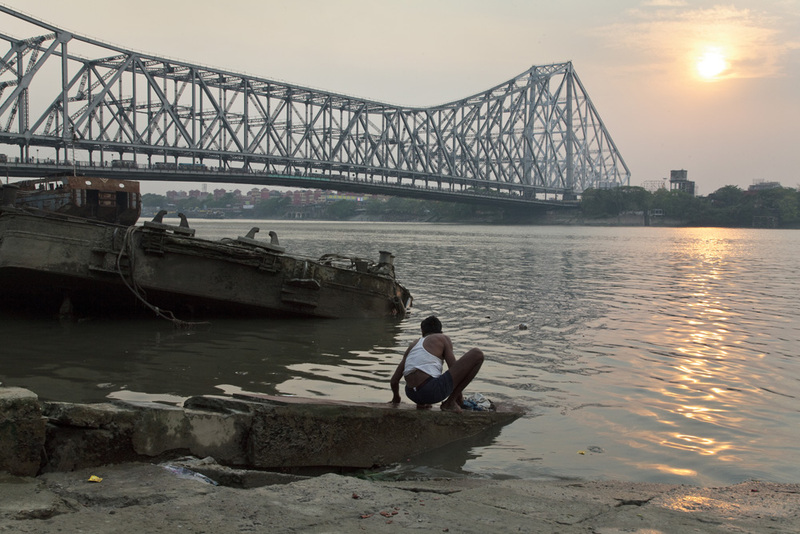 If you’ve been a regular reader of the blog I do hope you’ve enjoyed the images and have possibly learnt something about the river and it’s place in Indian culture as I most certainly have.